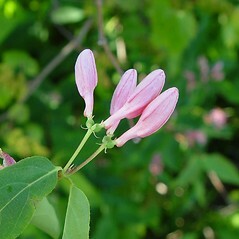 Tatarian honeysuckle was introduced to the U. S. in 1845 from China, and since has spread to many states, including all of New England. 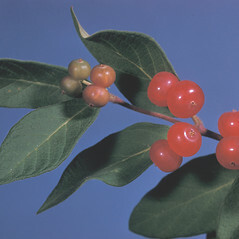 It is regarded as highly invasive throughout much of its North American range. 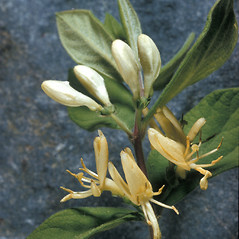 It also hybridizes with another invasive honeysuckle, Lonicera morrowii. 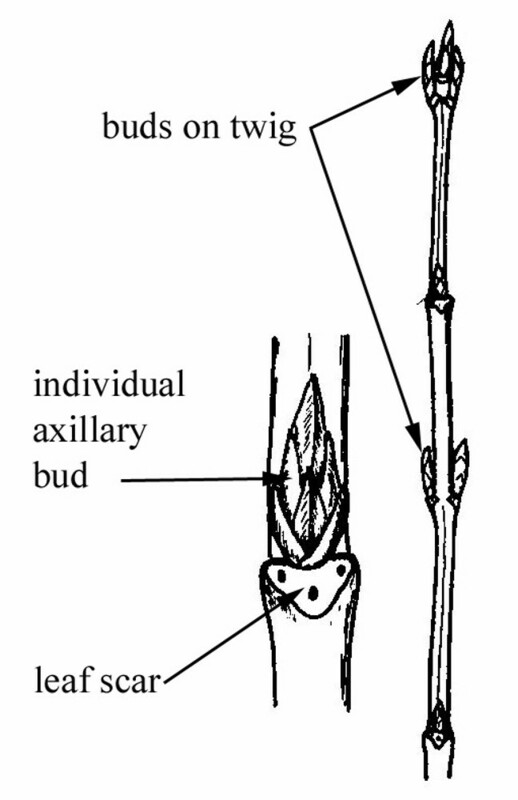 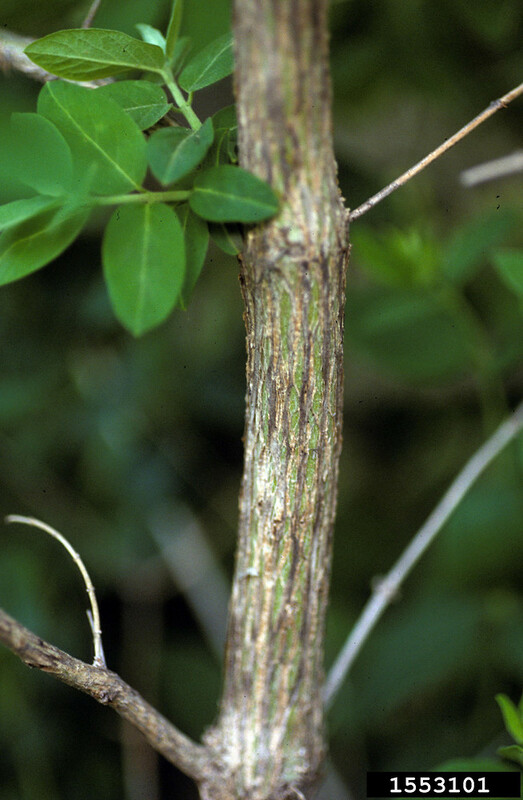 This species is a shrub, with dense tangles of leggy branches with hollow twigs. 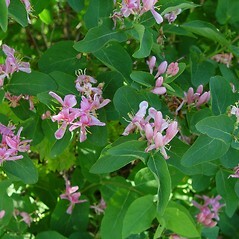 Copious numbers of pink, strongly asymmetrical flowers are borne in pairs in the axils of the leaves; they are pollinated by bees. 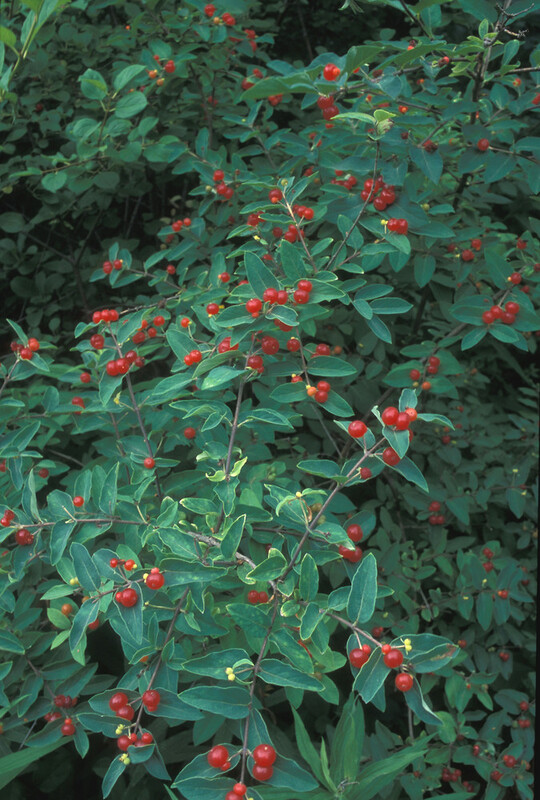 Birds consume the berries and disperse the seeds; the eastern cottontail rabbit is also known to eat the fruits. 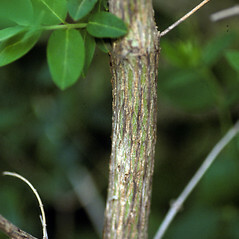 leaf blades hairy on the lower surface and stalk of inflorescence 5-15 mm long (vs. L. tatarica, with leaf blades without hairs on the lower surface and stalk of inflorescence 15-25 mm long). 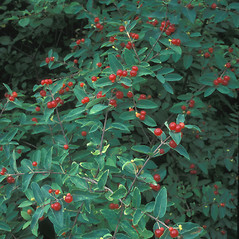 Tatarian honeysuckle. 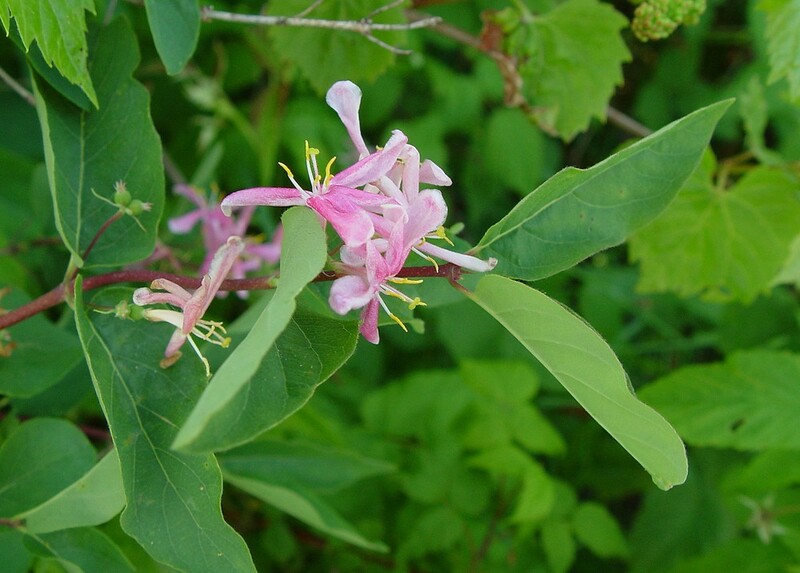 CT, MA, ME, NH, RI, VT. Riparian forests, field edges, waste areas, roadsides, areas of habitation. 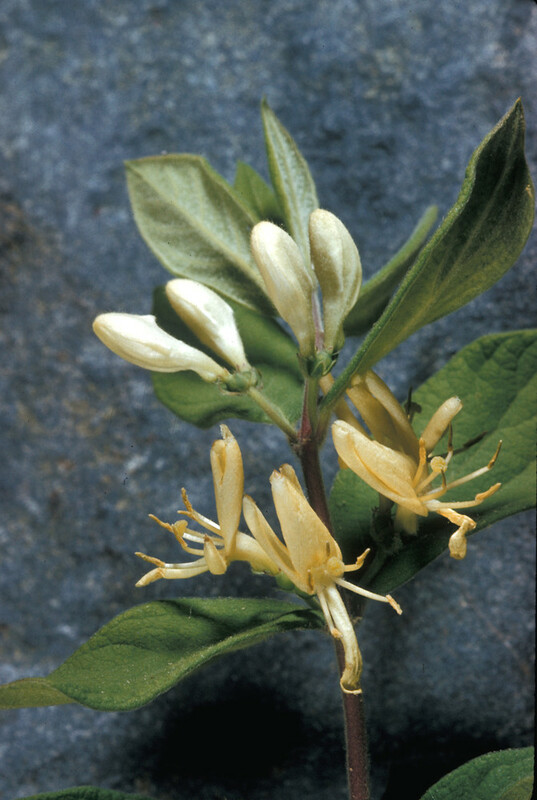 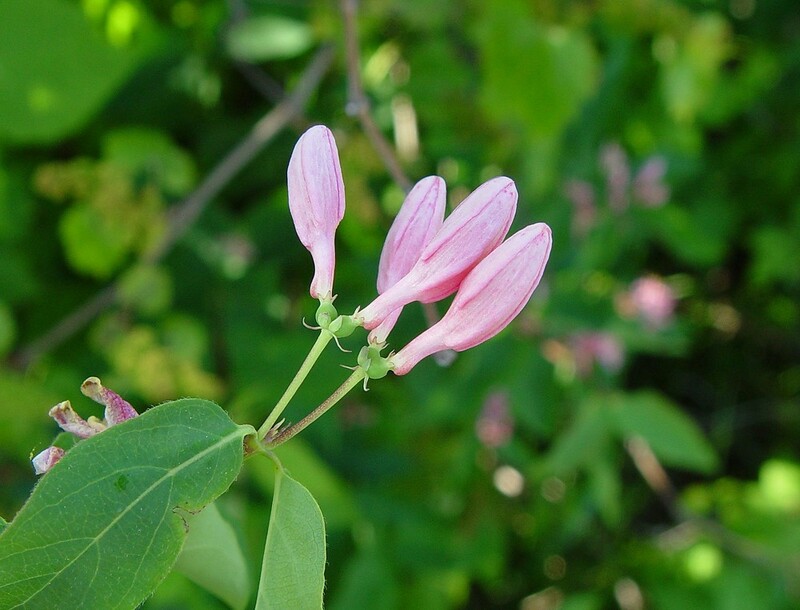 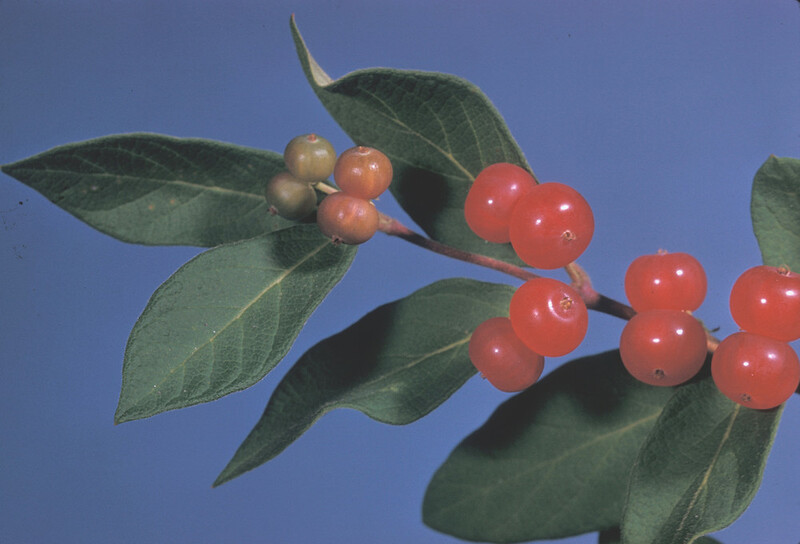 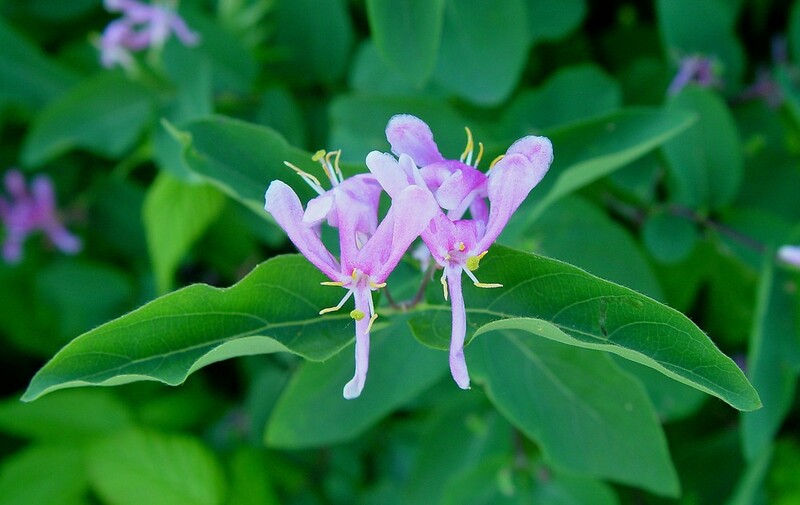 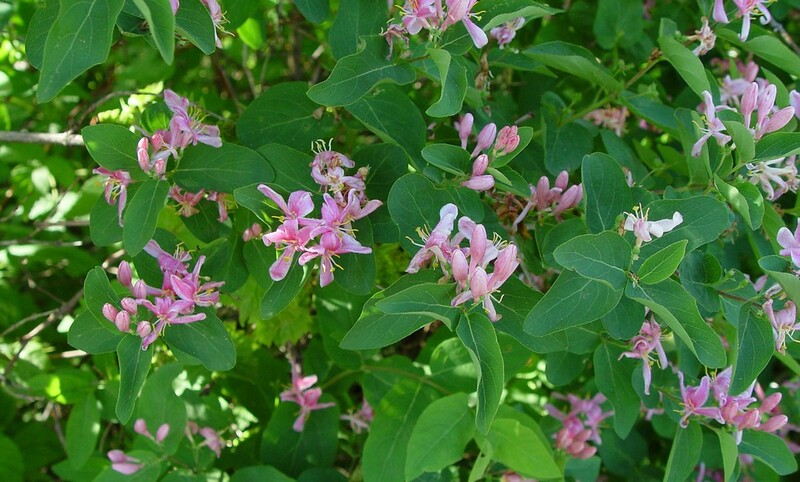 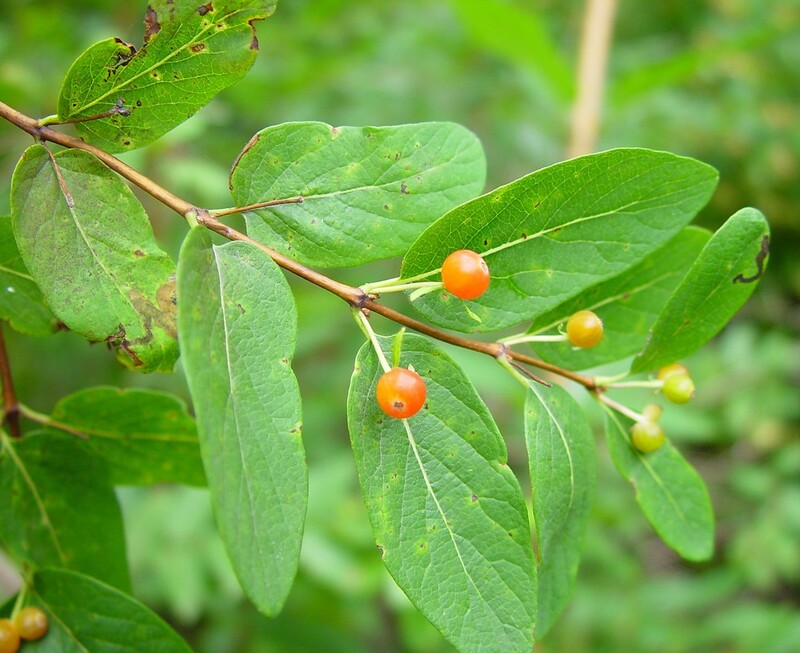 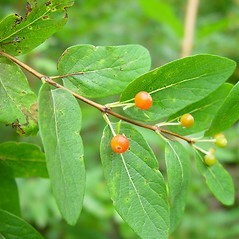 Though frequently included on state lists of invasive plants, this species is not nearly as common as Lonicera morrowii (with which it has been confused by some collectors) and is infrequently encountered. 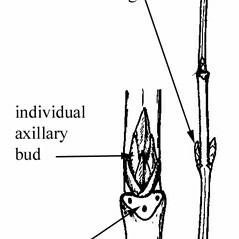 6×11. 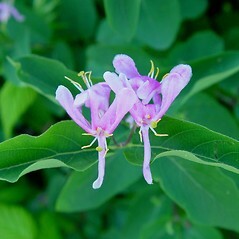 Lonicera morrowii × Lonicera tatarica → Lonicera ×‌bella Zabel is a frequent honeysuckle hybrid known from CT, MA, ME, NH, RI, VT. 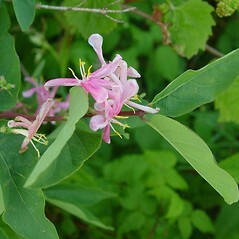 It is variable but usually displays a pink (fading yellow) corolla that is scarcely saccate at the base, sparsely pubescent branchlets and leaf blades, and peduncles 5–15 mm long (compare character states with those presented in identification key, couplet 8).